Cities: Skylines has taken the city building genre by storm recently. As a game it has captured what many fans love about the genre, and has made up for many of the mistakes made by 2013’s SimCity. While SimCity had a solid framework, some shockingly bad decisions from publisher EA led to a disastrous launch, lower than expected sales and as a result, EA shut down Maxis’ main studio, a studio which has nearly 30 years of history behind it. 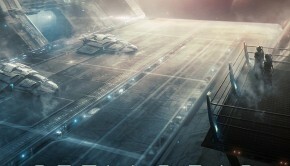 The game was plagued by server problems, very limited space to actually build and a requirement to be online at all times and as a result was unpopular with gamers and critics. Cities: Skylines gives players a huge space to build, is very user friendly, does not require a constant online connection and is just brilliant. It is the game that, in many ways, 2013’s SimCity should have been. 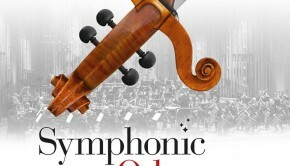 For video game music fans, this game is also noteworthy as the composer is none other than Jonne Valtonen, the lead composer/orchestrator/arranger of Merregnon Studios’ incredible concerts (Symphonic Fantasies, Symphonic Legends, Symphonic Odysseys, Final Symphony etc). While Valtonen has worked on some video games before, this game marks his most high-profile scoring project to date. He wrote the music on Sibelius, while producer Jani Laaksonen put Valtonen’s notes into the music production machine, Laaksonen also composed the first piece of ingame music, “Stern Berger”. If this music is as good as the pieces from Final Symphony and the like, we are in for a real treat. I’m going to review this one a little differently. Rather than review each track as it stands in order, I’m going to take a look at each piece, as Jonne has described, where it fits into the game. As Valtonen has explained to me, some of the pieces in this soundtrack are layers which in-game are played alongside the main music. The first track that you’ll hear in-game is the Main Theme, which plays during the main menu. Immediately it is obvious that this soundtrack will not be bucking the expected trend from modern city builders, creating a pleasant vibe that augments the feeling of being in charge of a happy, sprawling metropolis. It opens by setting up the main harmonic line with the strings and harp before the piano come in with a melodic line. The strings build on top of that as more melodic lines come in from the woodwind. The strings then come in full force, before more layers add to the harmonic rhythms. Another thing that stands out is the stellar production values, with Valtonen recording once more with full orchestra here. When you get to the gameplay, the piece “Stern Berger” is the first thing heard. The two repeating notes from the Main Theme are back to begin the piece as more layers are added on top and taken away as the piece progresses. At this point, things don’t get dramatic as the city is just beginning it’s life. Minimalism suits city building gameplay really well as it’s not too intrusive and complements the feeling of creating city life brilliantly. Often minimalism can take a long time to get going and can become tediously repetitive and drawn out, not so here. Layers are added and taken away quickly and to the point, keeping things far more interesting when listening to the soundtrack on it’s own. The layers in this piece are very well constructed, creating interesting harmonies and allowing plenty of moving musical lines to drive the piece. Three and a half minutes in some of the chords and harmonies get a little disturbing, but are quickly brought back into the major key. Each addition and subtraction and change is enough to keep the music a pleasant listen throughout it’s 10 minute running time. The next piece of ingame music as the city picks up speed, “Burned Bean Coffee”, starts off with some strange effects processing and ambient lines which pulse in and out before the full strings enter with the trumpet taking the lead over the top. A horn enters later along with a moving cello line. This piece keeps the overall theme of the soundtrack going while slowing down the movement rate at which lines come and go. The busyness of each line is also slowed down in this piece as well but is still enough not to let the music become boring, and the climactic lines at the end are really great. Once again there’s enough movement and interesting musical ideas here to keep it a worthwhile standalone listen. “AUKIO” is the next piece of ingame music. This piece builds up with some very creative woodwind lines, the bassoons creatively imitating traffic horns, signifying the busying state of the city, while the strings once again provide the basis of the piece. There’s a nice melodic line that comes in later on from the oboe, and the harmonic changes are numerous enough to keep the piece interesting. There’s an interesting combination of 2 time and 3 time from various instruments, keeping the piece flowing and unpredictable. There’s quite a dramatic crescendo half way through the piece with a melodic line from the horns, and despite the various layers not all being rigidly in time with each other, the basic time signature is kept going from the string lines. I really like the rising and falling line that comes in 7 minutes in. The business builds until the end where the trumpet solo brings the piece to a close. The next piece of in game music is “Itsy Bitsy Critter”. This is the track that plays if you’re doing badly in the game (such as if a power cut happens). The piece starts out with the familiar string line which quickly becomes dischordant. This time the string line appropriately seems somewhat darker, it’s very effective. The layers that build up are there to create a sense of discomfort. It’s a change of mood from the pleasant, major key music that came previously. None of what is presented here is minor as such or overly dark, but it definitely doesn’t have that pleasant hustle and bustle heard before. The music almost stops 6 minutes in before coming back with string lines and timpani lines that are designed to tell you that this is bad news. The entire piece is kept consistent with the feel of the rest of the game while creating a different mood to signify that something is wrong, and the player needs to do something about it. “Dino Oil” is the final piece of ingame music. This piece plays when you’re doing very well in the game. It opens with high strings and a flute melodic line, which builds as before. There are immediately more melodic lines in this piece to signify the excitement of an awesome city at work. The climactic major chords and moving parts come in very early in this piece, this dies down to make way for a calmer mood before picking up again, building into a very major chordal climax. 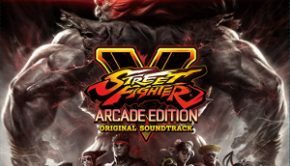 The general feel of the game’s music will be familiar to players and listeners by now, the changes of mood and pace subtly guiding the players as to what they need to do next. The rest of the tracks from the soundtrack are variations and layers based on the above pieces. “Greed & Grief” is a muffled variation of “Itsy Bitsy Critter”, which makes it sound even more discordant than normal and is effective. “Go Nuts Doughnuts” sounds like a choir piece, while “Yaxu” is a similar variation of “Burned Bean Coffee”, which using what sounds like string based synthesisers to great effect, similarly, “Pernu Apparel” is a variation of “AUKIO”. “Lehto Electronics” sounds like it’s from a horror game, and plays when everything goes completely wrong. The muffled versions of the main tracks are interesting in how they fit into the game, but when listening to them standalone I always wanted to go back to listening to the main pieces of music. It was a nice gesture to include them though, and there would have been complaints if they weren’t included. 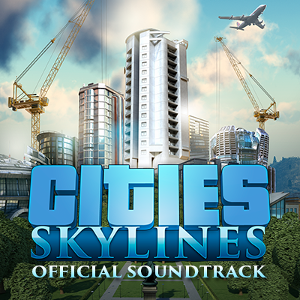 Overall I think Cities: Skylines is a very successful soundtrack to complement one of the best city builders ever made. As someone who doesn’t regularly listen to minimalism, the main pieces from the soundtrack kept me engaged throughout their 10 minute runtime as standalone listens, and that’s an achievement in minimalism, which has a tendency to become tediously repetitive if not done well. In these compositions, enough is added and taken away all the time to keep the music flowing without overbearing on the player in game. I would have maybe thought about how to better implement the variations into the soundtrack album but the compositions themselves are great, and it’s fantastic that someone as talented as Jonne Valtonen is now getting to work on top class games. Posted on May 29, 2015 by Joe Hammond. Last modified on May 29, 2015.